Thank you for considering supporting The Music Hall, owned and operated by a 501(c)(3) non profit organization. Below you will see the currently available campaigns listed. NOTE: The Music Hall will sometimes collect donations on behalf of other non profits. 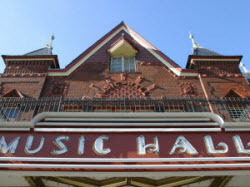 Click here for more information on how to support The Music Hall.